A little while back (I'm still stuck in the summer backlog!) a site called detoxyourworld got in touch about review samples. 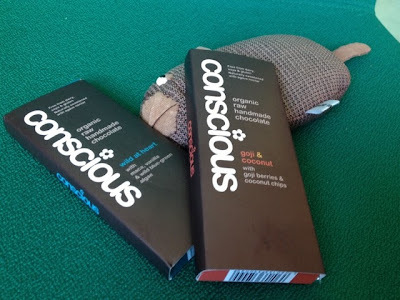 This is a partner review to my last raw chocolate write up from them. First up we tried the Wild At Heart. We had this at room temperature at first which gave an unintended meltyness to the whole thing. This rough textured bar has a few flavours going on, but the vanilla and wild blue-green algae (yup - it's why I chose it) really do play second fiddle to the strong chocolate. There are no added lumps and bumps in this bar so it's just raw chocolate that keeps your interest here. It's a solid experience (more so on day 2 when eaten from the fridge) but it lacks the wow factor of the LoveChock bars. 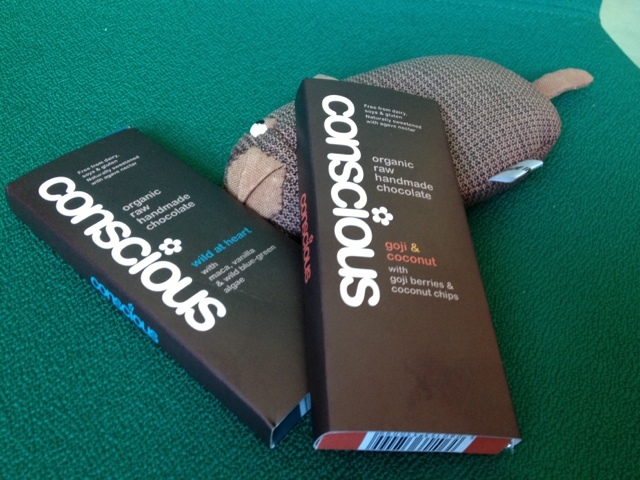 We then tried the Goji & Coconut bar. This had a lot more going on than the plainer Wild At Heart which benefited it greatly. I liked how the additions added a sweetness to it, but the chocolate was again the star. I decided these bars should go second based on the professionalism of the packaging. These are very giftable and look like a premium chocolate. Turns out the previous product was just more to my taste. I think I've said a few times that I love chocolate bars where the chocolate isn't the main attraction (Twix, Bounty) and while I'd happily eat these over any non-raw chocolate (I really am that sold on the idea) I think the LoveChock gets the win. If you are a pure chocolate fanatic though I can easily see that order being reversed. I'd be happy to eat these again (and again), and finishing off the bars post review has really not been a chore.